Wardriving a act for searching and locating the access points (APs), as discussed on the wardriving article about the importance of wireless sniffer. These tools use to find out the wireless network, just like netstumbler for windows and Kismac for MAC, there is a Kismet for Linux. Purpose is same to sniff the wireless LAN and try to get maximum information about that network. Kismet is a wireless network detector and sniffer and it works with any wireless card (NIC card) which supports raw monitoring mode. 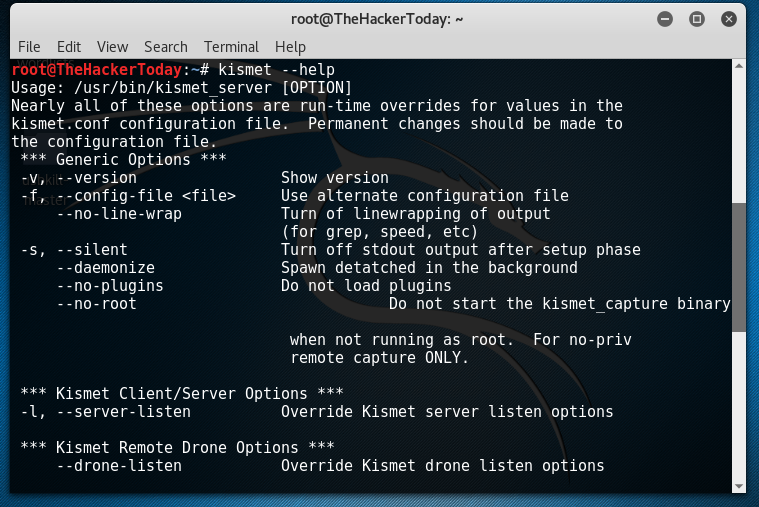 After installation you need to configure Kismet now open terminal and type exactly. If you don’t know your relevant network driver, view the Kismet Readme and scroll down to the section “12. Capture Sources”. Now start Kismet by the following command.